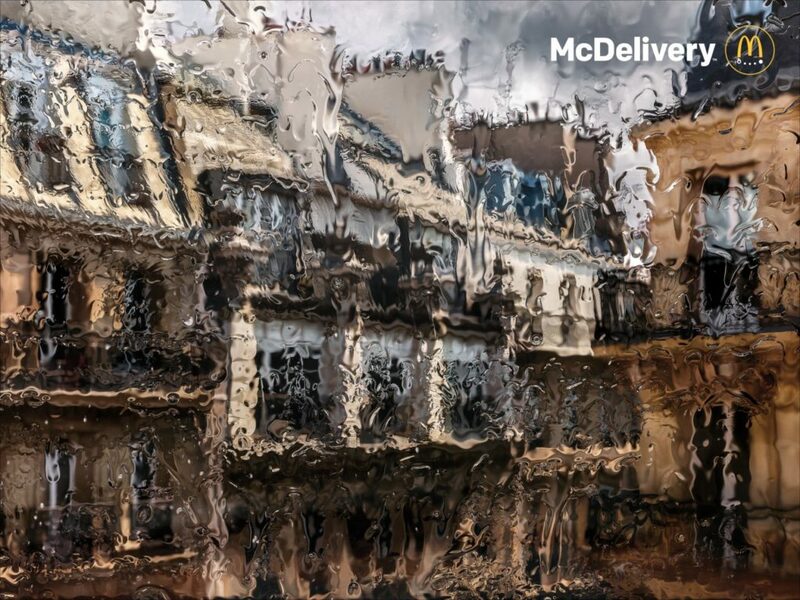 TBWA\Paris has launched a beautiful new print campaign for McDonald’s. 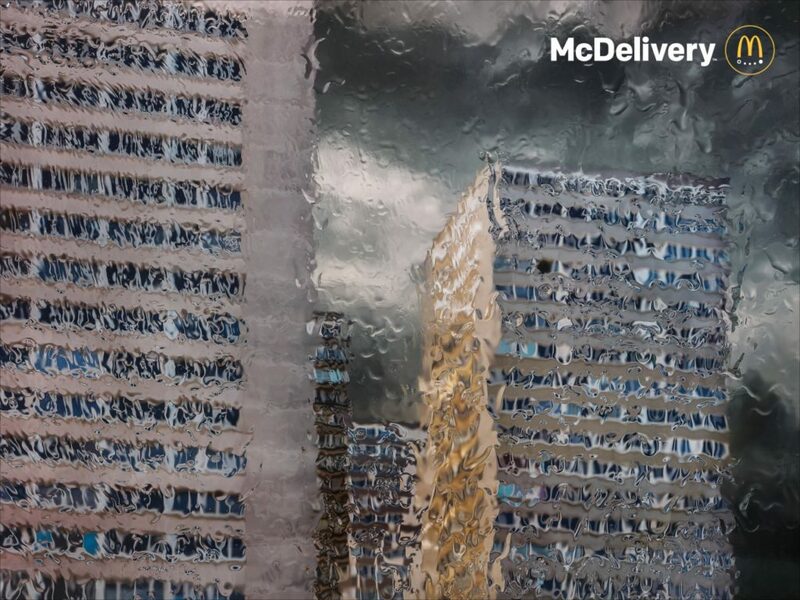 This new campaign promotes the brand’s delivery service with a series of images of buildings and stormy skies, seen through rain-soaked windows. 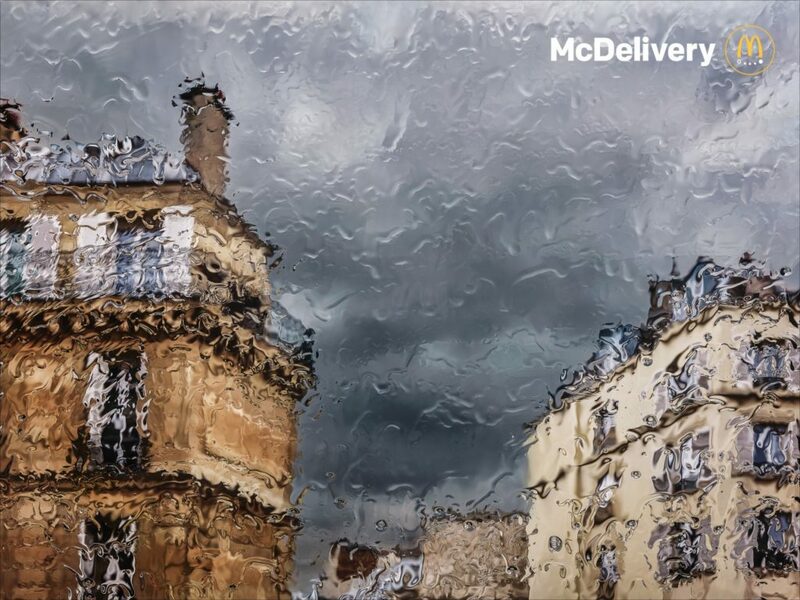 The prints are made around the customer’s point of view and highlight the longing for simple, home-delivered food when it’s thrashing it down with rain outside. 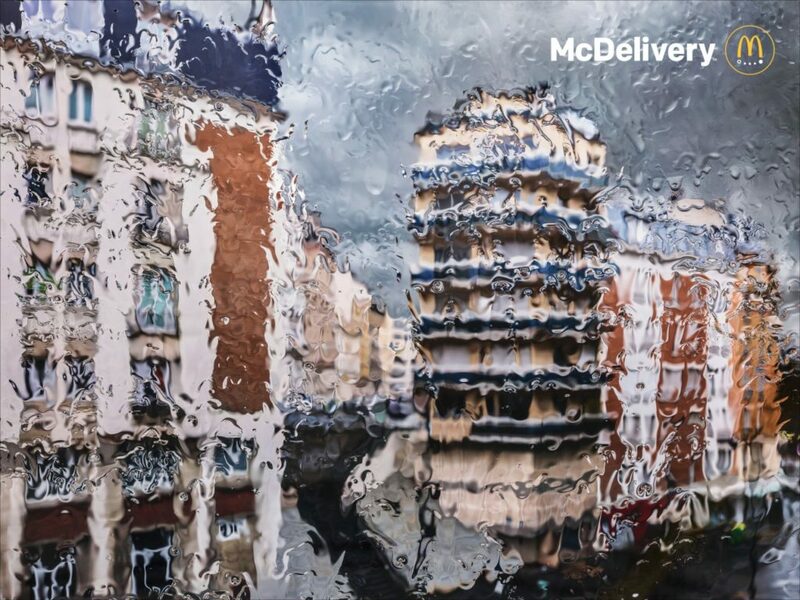 It was shot by photographer Roberto Badin, chosen for his brilliant work on architecture and still life – as seen in his latest book ‘Inside Japan‘.